On Thursday, June 29th, Terry Guen, FASLA will be sharing rare “insider’s view” of the construction process of Millennium Park. 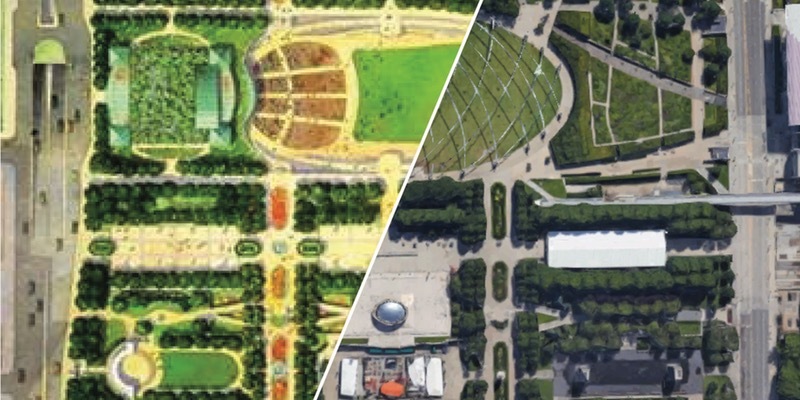 As the master landscape architect for the project, Terry will be joining Ed Uhlir, Millennium Park Inc., Benet Haller, AICP, and Christy Webber, Christy Webber Landscapes, for a panel discussion and guided walking tour. A happy hour event will be held following the session at a nearby location, details are forthcoming. Click here for more details on the event being hosted by APA, CMS, and Illinois ASLA. Millennium Park resides in Chicago’s downtown on a once marginalized railyard and was entirely constructed on a concrete slab covering a parking garage and railroad tracks. It is now one of largest green roofs in the world and the State of Illinois’s top tourist destination. Designing and constructing the park was an incredible process – join us to hear firsthand from those who made it happen.